Colters’ Legacy tells the story of the Colter family. Book 1, Colters’ Woman, is the story of three brothers -Adam, Ethan, and Ryan Colter- all destined to love one woman, Holly. Colters’ Woman’s 2016 reissue also includes two short stories. The first is “Colters’ Wife”, which picks up shortly after Colters’ Woman and includes the birth of their first child. The second, “Callie’s Meadow”, takes place eight years after the original book and includes the birth of the Colters’ only daughter, Callie. Book 2, Colters’ Lady, is the story of Lily Weston and her tangled relationship with Holly’s three sons Dillon, Seth, and Michael. Book 3, Colters’ Daughter, tells the story of Callie Colter, the youngest Colter sibling, and her husband Max. Book 4, Colters’ Promise, introduces Lauren, the sister of Callie’s husband Max. This book joins the whole Colter clan as they gather for a holiday reunion. Book 5, Colter’s Gift, tells the story of Lauren and the two men, Liam and Noah, who are hired to protect her. 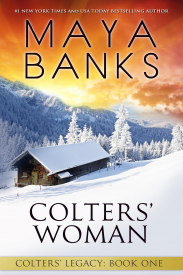 Book 1: Colters’ Woman – Includes the short epilogues Colters' Wife and Callie's Meadow. Currently, these epilogues are only available in this reissue edition. 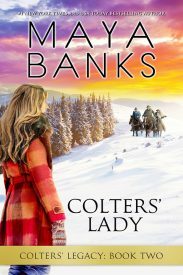 Are you ever doing more books about the Colter family? Is Callie’s Meadow available separately from the re-issue of Colters’ Woman? What is the chronological order of the Colters’ Legacy series books? When will the print version of Colters’ Lady be available? Where Can I Find Colters’ Wife and Callie’s Meadow?